This book is ON Kashmir and Kashmir ALONE. Nostradamus of your age. I saw it happen. Before my time. Bill Koul was writing his story. This story. Bill K Koul is a global citizen. As an engineering consultant, he has more than three decades of international work experience across the globe--in Australia, New-Zealand, South Asia, South America, Africa, Mongolia and China. His interests include philosophy, spirituality, nature and music. His hobbies include cricket, badminton, photography and long distance running. 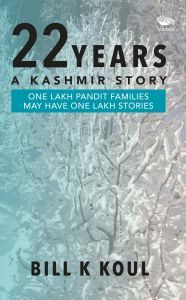 This Kashmiri Australian writer, editor from Perth has also written two other books--My Life Does Not Have to Be Unhappy, and Issues White-anting India.